Food at e.b.o. | Courtesy of e.b.o. As British Colombia’s third-biggest city, Burnaby, Canada quite rightly boasts a dining scene as diverse as its 200,000+ inhabitants. Whether you’re looking for Pacific Northwest cuisine or good old-fashioned fish and chips, our Burnaby dining guide features a local restaurant to suit. Opened 18 years ago by Chef Scott Jaeger and his wife Stephanie, acclaimed Burnaby eatery The Pear Tree Restaurant brings world-class cuisine and elegance to the Vancouver suburbs. Locally and sustainably sourced organic ingredients come together in tempting appetizers like the orange caramelized scallops with double smoked bacon risotto and mains like braised Alberta lamb shank with cauliflower fritters and eggplant puree. Desserts include a spectacular chocolate ganache with a crisp nut base, salted caramel and orange-chocolate sorbet, while a well-stocked wine list complements The Pear Tree’s creative, local cuisine. Safari Snack House’s unique Indo-African fusion cuisine has given it a reputation as one of the best restaurants Burnaby’s dining scene has to offer. Plenty of tasty snacks make up much of the restaurant’s menu, from crispy, fried mogo (cassava) and vegetarian pakoras to Ismailia bhaji (thinly slice potatoes dipped in chickpea batter and fried until golden), while bigger plates come in the form of tandoori chicken and beef mishkaki, skewers of tender beef marinated in Indo-African herbs and spices. But if you try just one thing at Safari Snack House, make sure it’s the award-winning samosa . Born into a family of chefs, executive chef Keith Pears is bringing his love of fresh, local ingredients and creative flair to the kitchen at e.b.o., a chic restaurant focusing on Pacific Northwest and West Coast cuisine. 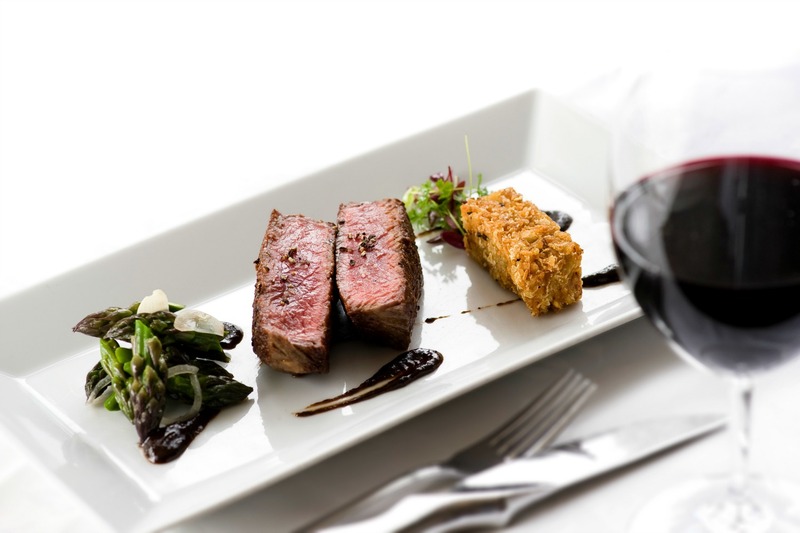 Combine starters such as wild mushroom soup with brioche croutons, feta and focaccia with mains that include spring salmon with risotto, textures of celeriac, fennel confit and corn nage. Or go gourmet-casual with e.b.o.’s award-winning signature burger, a house-ground chuck patty topped with aged cheddar, smoked onion and garlic aioli served with garlic and parmesan fries. A local dining landmark since 1965, Cockney Kings Fish & Chips is the place to go for your fix of this classic British dish. All entrées are served with homemade chips, coleslaw and a roll and butter. They come in traditional varieties like battered cod, haddock or halibut, or opt for more unusual options such as the oyster burger, Louisiana-style shrimp and calamari with tzatziki sauce. Feeling really hungry? Add in soups and appetizers from seafood chowder to fish tacos and sides that include a battered hot dog, homemade mushy peas and gravy. Traditional Italian cuisine gets updated with chef Will Lucas’s West Coast creativity and locally sourced, seasonal ingredients at Cotto Enoteca Pizzeria. Plenty of pasta dishes feature on the menu from penne with chicken confit, arugula pesto cream and wild mushrooms to tagliatelle with creamy dill sauce, prawns, clams, salmon, halibut, capers and parsley. However, the real deal at Cotto is its delicious, VPN-certified Neapolitan pizzas, cooked in a wood-fired brick forno, in a myriad varieties from classic margherita to the carne topped with sopressata, pancetta, prosciutto cotto and coppa. A splendid wine list with a focus on Italian and British Columbian wines is offered alongside local craft brews and Cotto’s signature cocktails and martinis. ‘Casual West Coast elegance’ is the focus at Hart House Restaurant, a gorgeous, Tudor Revival-style spot in the beautiful Deer Lake Park with romantic lakeside dining. Executive Chef Mike Genest’s menu is packed with Pacific Northwest-inspired fare from lunchtime eats such as crispy Dungeness crab and baby shrimp cake sandwich to dinner dishes that include seared sockeye salmon with Yukon Gold potato blini, leeks, braised radishes and crab beurre blanc. Brunch is served on Sundays. A vibrant spot where American fare is dished up alongside signature and craft cocktails and regular live music and sports events, Personas is a favourite local haunt for fun, laid-back dining. Grab a few sharing small plates to start; choose from tempting bites such as bacon-wrapped dates stuffed with double cream, Danish brie and drizzled with balsamic glaze or poutine with white cheddar cheese curds, gravy and beef short rib. Follow it with hearty sandwiches and burgers, pasta dishes or mains including cedar plank-grilled wild Pacific salmon with a brown sugar-soy glaze, fried rice and seasonal vegetables. Regularly voted the city’s favorite Thai restaurant, Chad Thai is a cozy, casual, family-run eatery and the place to head to in The Heights for deliciously authentic Southeast Asian food. Appetizers include chicken satay, deep-fried fish cakes or mee grop (crisp vermicelli with sweet and sour caramelized tamarind sauce, crisp tofu, chives and beansprouts) and are followed by familiar favorite mains like pad Thai or spicy red curry or exotic plates such as pad prig pao (stir-fried mixed seafood with Thai chili jam, bell peppers and onions). After all that spicy fare, finish with a refreshing dessert of coconut ice cream with palm seeds and cashew nuts. Long-standing, local restaurant Cristos Greek Taverna is where local foodies go for their fix of authentic Greek eats dished up in lively, friendly surrounds. Start with classic Greek mezedes such as sikotakia (pan-fried chicken livers served with tzatziki sauce) and spanakopita (spinach, feta cheese, herbs and greens in phyllo pastry), then move onto must-try mains of paidakia (Greek-style marinated lamb chops) and moussaka (eggplant, zucchini, potatoes and ground beef topped with béchamel sauce). 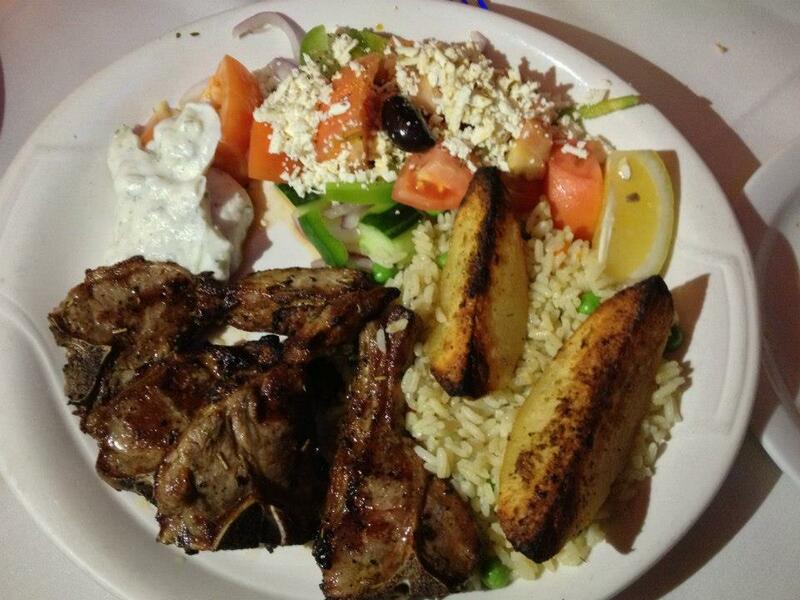 Regular live Greek music, belly dancing and plate smashing complete the taverna’s Greek ambience. Every now and then, only a succulent burger or some juicy barbecue will do and Burgers Etc. BBQ House cooks up exactly that. Choose from platters piled high with classic barbecue fare, from St Louis-style smoked ribs and beef brisket to pulled pork, or opt for a BBQ sandwich and combine with macaroni salad, baked beans and house-made creamy coleslaw. Burger options include beef, chicken or veggie, each available with extra toppings that include fried egg, jalapeños or bacon. Wash it all down with one of a range of craft beers.